When our home looks dated or our entry door looks worn, we imagine in our mind what a new front entry door would look like. Now you can actually design your new front door rather than just imagining it. Visit our showroom door design gallery and use the Therma-Tru design tool that lets you select from all the possibilities to design sidelites, transoms, door glass just the way you want for a custom look for your home. If you live in Chicago or the surrounding areas you’ve got to love weather. It’s what we have. If you like oversized patio doors like Marvin’s multi-slide expansive doors you’re going to love the fact that these doors meet aggressive Design Pressure (DP) and Performance Grade (PG ) ratings. DP is a calculation that determines how much wind pressure a window can withstand. PG is an expanded measurement that also verifies structural performance, water penetration and air infiltration resistance and a battery of other performance measures. Window and Door Magazine 2016 Dealer of the Year Award for the most innovative enterprise, we know we have you, our customers, to thank for expecting the best. What’s the right entry door for a traditional style house? It depends on which traditional style house you live in or plan to build. Traditional style means long established or customary and is the most common style in our area. Traditional is a broad term compromising many styles including Federal, Gothic Revival or Queen Anne. 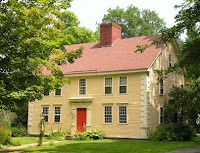 When we describe a home as traditional we’re often referring to either a common style historically prevalent in our region, such as Colonial, Georgian or Cape Cod, or likewise, we may be referring to the specific classic features such as symmetrical windows, Greek shapes or a portico. What’s common to this type of home is that it has a timeless design with historical roots. What makes a house Victorian style? It’s describing Victorian era architecture in the period of Queen Victoria’s reign. The Victorian styles include Queen Anne, dominate from 1880-1910, Gothic Revival 1840-1880, Second Empire 1855-1885 and Italianate 1840-1885. You’re guaranteed to win a round of Trivia with this question. It was common for American home styles to follow style trends from England, but what also accounts for an abundance of Victorian style homes in America was the building boom during the later nineteenth century. Victorian homes were the first product of our Industrial Age after the Civil War when munitions factories were converted to make house parts. The factories mass-produced wood trim for the decorative trim, porches, gables, towers and dormers. Although Victorians are largely made of wood, this was not always the case. In fact a large number of old Victorians around the Midwest are built with patterned brick and stone, which was the preference in urban neighborhoods. You say modern, I say contemporary and some say industrial to describe today’s contemporary home style. Contemporary means todays style and todays style is indeed a cross of modern and industrial, so we’re all right. 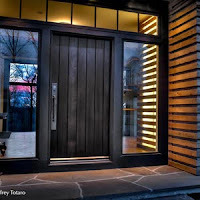 If you’re building a contemporary style home or remodeling your existing home and want an up to date look, remember the entry door is a key element of the design. The right contemporary door screams, look at me, I stand out from the crowd. 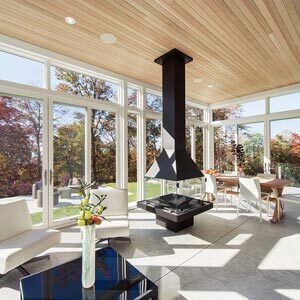 The contemporary look strives to connect the indoor and outdoor spaces, so it’s common to use glass, tall or wider openings for the entry door design. Modern and industrial style eliminates ornamentation or excessive detailing, so that doors without panels and are likely to be flush with plain facings on both the inside and outside door frames. This bold simplicity can be achieved in multiple ways by following some simple principles of contemporary door design. Chicagoans claim the craftsman style home as a part of our heritage – after all, Frank Lloyd Wright is one of the fathers of the architectural movement. The style, circa 1890’s, popular into 1930, is enjoying a revival today. 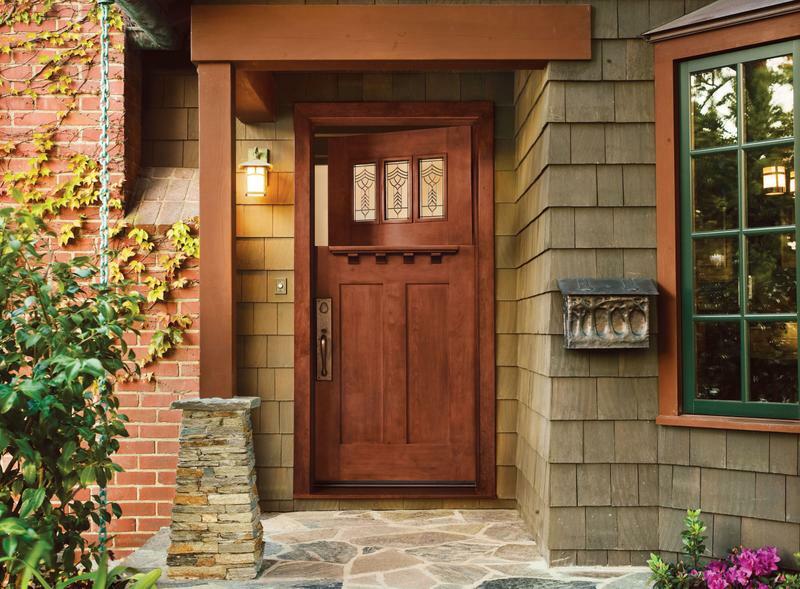 Whether you’re fortunate enough to own an old original craftsman style home or are building a new home, the craftsman entry door is a key architectural element to focus on. 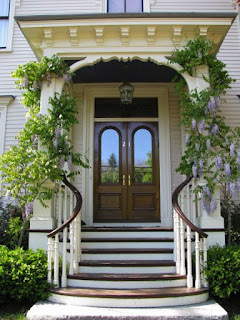 The craftsman door is almost always reached by way of a porch, which accentuates the door’s uniqueness. Craftsman doors are interesting contrasts of simple lines, warm woods, understated flat casings, decorative glass panes and a classically ornamental dentil shelf. Homeowners can select less expensive painted fiberglass or steel doors to compliment a craftsman style home, yet an all wood door creates an unmatched striking focal point. Good design always creates focal points that allow the eye to naturally absorb the view. Without a focal point, the eyes wander and the brain struggles. The craftsman home is perfect for a wood door because of the protected porch entrance. Although wood is a great insulator and can withstand harsh weather, it needs an enduring finish and a building overhang for protection. Wood doors by Simpson can be used in tough exposures as long as they are made of especially weather-resistant woods such as: Douglasfir, Sapele Mahogany and Nootka Cypress. he beauty of wood is that no two pieces look exactly the same. The grain patterns, color variations and textures create a work of art. Frankly, it’s a stark contrast from a painted fiberglass or steel door, which can appear flat and lifeless in comparison. 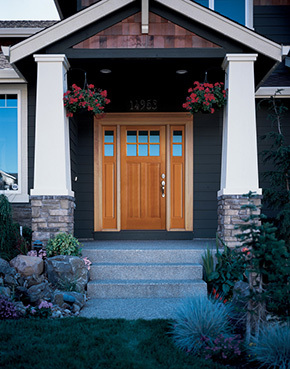 There are places for the less costly door; a wood craftsman entry door is the place to splurge. 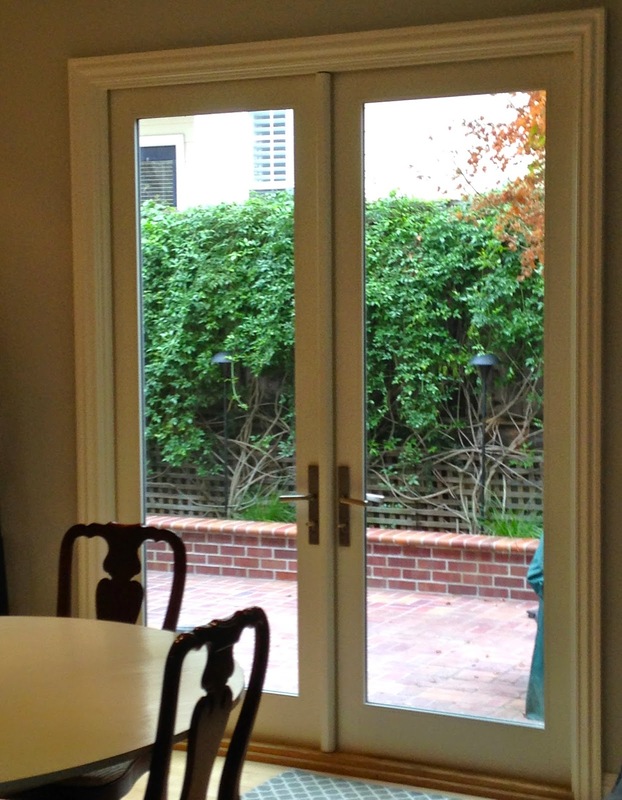 It’s not uncommon for entry doors to be placeholders in an architect’s design. Meaning its definition will be provided later. 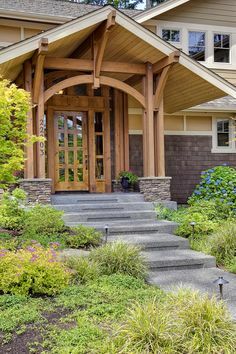 In the craftsman style this is often so the architect or designer can line up the views from the entry to a focal point inside the house. This might be an interior wall or an exterior back yard. 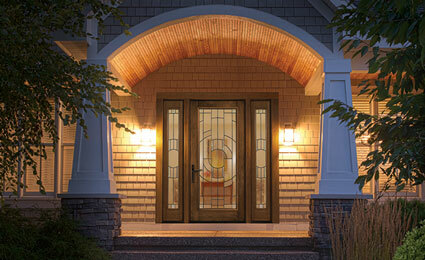 The craftsman style entry door typically has glass in the upper door, sidelites or in a transom above the door. Well positioned, glass can bring natural day light to a dark foyer or let the moon and street light glow, flood the entry at night. If security is a concern consider glass transoms. The American craftsman style was a response to the ornate Victorian style homes that were common at the time. It stood in stark contrast to the highly decorated eclectic Victorian. Adopting an arts and crafts artistic sensibility, the style typically uses local handcrafted glass, wood and metal work. The colors are usually a natural palette so that the homes blend with nature. You might find the Dutch door an original interpretation of the traditional craftsman door. If an all-wood door is outside the limits of your budget, don’t despair. Check out doors by Therma-Tru for fiberglass doors that mimic wood. Or if you love painted doors, check out the options for wood, fiberglass or steel painted doors by Jeld Wen in a variety of colors. Or if space allows you can create a double door entrance. 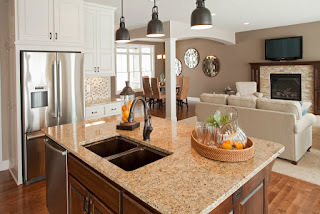 Beauty lies in variation, so use your imagination to get the craftsman look on any budget. The secret to entertaining during the holidays is creating the right ambiance or the wow factor. 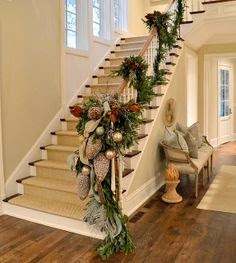 The wow factor is that feeling you get when you approach the home of a holiday party and you feel the energy. The light shines out into the night through the windows, the porch is decorated and lit up, and the well-lit path to the door delivers you to the party. The wow factor sets the energy for your gathering. There you are greeting your guests as they arrive framed by an elegant front door. The contemporary black wood finish, classic side lights and oversized transom beckons your guests to come inside. 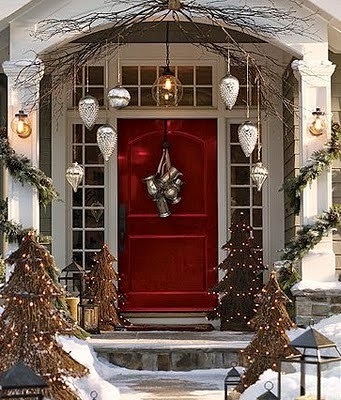 Maybe it's a red classic front door that welcomes your guests. 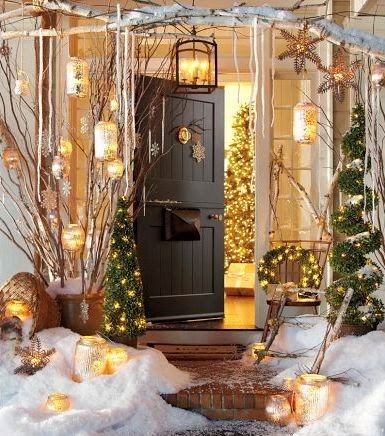 Whichever door you choose, when it’s adorned with holiday decorations it is most inviting. Win a New Door From Therma-Tru! "Attention! CONTEST TIME! We are having an Ugly Door Contest. The grand prize winner will receive up to $2,000 toward any Therma-Tru door (installation not included). The contest will run from now until MIDNIGHT on June 7th, 2014. The winner will be announced on June 14th, 2014. Please send us an image (.jpeg or .gif) of your UGLY DOOR to [email protected] by June 7th at midnight. All pictures will be posted to a special gallery on our Facebook page. The picture with the most "likes" will win! You can vote with “likes” till June 13th at midnight. Feel free to share your image with your friends and family and get them to “like” your ugly door! Many property owners ask a lot of questions concerning Homeowners’ Associations (HOA). The HOA is an independent organization that manages a group of investors. Woodland and most of its neighborhoods where they do work have them. More often than not, the association is made of residents from the surrounding areas who work with a real estate property manager.